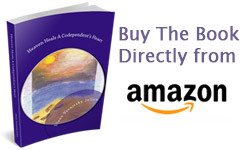 There are many codependency books for compulsive caregivers, but few offer the Spirit-filled inner healing found in My Resurrected Heart: A Codependent’s Healing Journey. 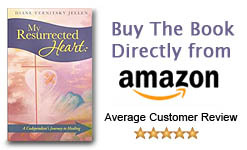 When speaking to a group, Jellen engages her audience by reading excerpts from the My Storysection of My Resurrected Heart.This segment reveals the humiliating schemes she employed in an attempt to control her husband’s drinking. 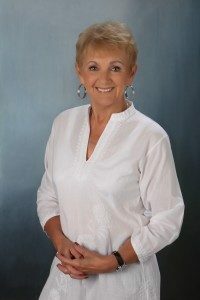 Diane’s transparency encourages others to acknowledge their shortcomings and begin their personal journey to wholeness. In the My Awakening – My Hope portion, Jellen confronts her deep-rooted victim mentality. Using real-life incidents, she shows how she labored to develop a more optimistic mindset. Diane’s message is timeless—trust God in all things. Through Scripture and prayer, we can learn to love ourselves and our addicted loved ones just as Jesus taught. 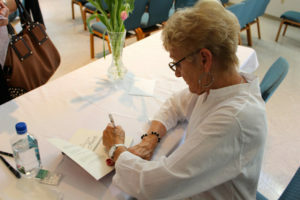 If you are a church or ministry interested in carrying Diane’s book in your bookstore, or are interested in having Diane speak at one of your groups, we would be happy to send you a FREE copy of My Resurrected Heart for you to evaluate.